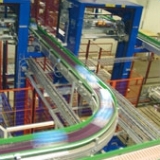 Tallpack International is able to supply the ‘finishing touch' at the end of your production line. From studies, designs, capacity & budget calculations and software-engineering, to complete realisation and implementation of projects, and the required after-care in the form of maintenance and service contracts. In practice, our systems are often expanded using peripherals you require in the logistics chain. 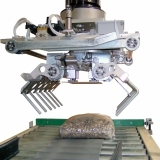 This includes scanners, weighing systems, contour control or labelling systems. Thanks to long-standing experience, Tallpack International is able to connect the above mentioned peripherals to WMS or production programmes that are responsible for tracking and tracing within your company. Our well qualified engineers will be ready to assist you when designing and realising the best and most reliable solution.